Financial Recovery After a Burn Injury | Law Office of Andrew G. Rosenberg, P.A. Burn injuries can be severe, painful, and sometimes life-threatening. They can take a long time to heal, require multiple surgeries for skin grafts and cosmetic reconstruction, and leave lasting scars and disfigurement with a loss of function of an affected limb or body part. When a burn injury is caused by negligence or willful wrongdoing, it’s only fair that victims should be able to seek compensation from the responsible party. A burn injury attorney can help start the process for victims to receive the financial recovery they deserve. Statistics from the American Burn Association show that nearly half a million people were treated for fire or other burn-related injuries in the United States between 2011 and 2015. The year 2016 saw 3,390 deaths caused by house, structural, and other fires, and approximately 40,000 people are hospitalized for burn injuries annually. Nearly a quarter of burn-related injuries happen to children under 15 years old. First-degree burns only involve the outermost layer of skin. The skin may turn pinkish or red, and the area becomes mildly inflamed and painful. Small first-degree burns heal fairly quickly. Second-degree burns involve damage to deeper layers of the skin. These burns tend to be very red, painful, and form blisters. They can take a long time to heal and should be tended to appropriately. Infections may occur, and if large or sensitive parts of the body are involved, they can be life-threatening without medical care. Third-degree burns happen when the layers of the skin have been burned through completely and may affect underlying structures. These burns can destroy nerves, fat, muscle, and bone. The wound may appear white and seem dry, or it may be blackened and charred. Third-degree burns are a medical emergency that require immediate treatment, as death can result if not properly cared for. Burn victims may also be able to seek compensation for disfigurement, loss of function, pain and suffering, and other related losses. In severe cases caused by malicious or willful wrongdoing, victims may also be able to seek a punitive damage award. A personal injury attorney can advise you of the possible damages in your individual case. 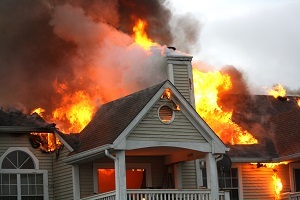 Victims have two years from the date of a burn injury to start the legal process. If you or someone you love suffered a serious burn injury, contact an attorney to get started with your injury claim. An attorney can review the facts of your case, help gather the evidence you need, and advise you of your legal options for a financial recovery. The Law Office of Andrew G. Rosenberg, P.A. is here to serve those who have suffered serious burn injuries due to carelessness, negligence, or wrongdoing in Florida, and we’re ready to help you and your family get the compensation you deserve. There is no charge for our initial consultation, and we work for you on a contingency basis, so you owe us nothing until we win your case. Contact us using our online form, and arrange a free consultation with an experienced legal professional today.